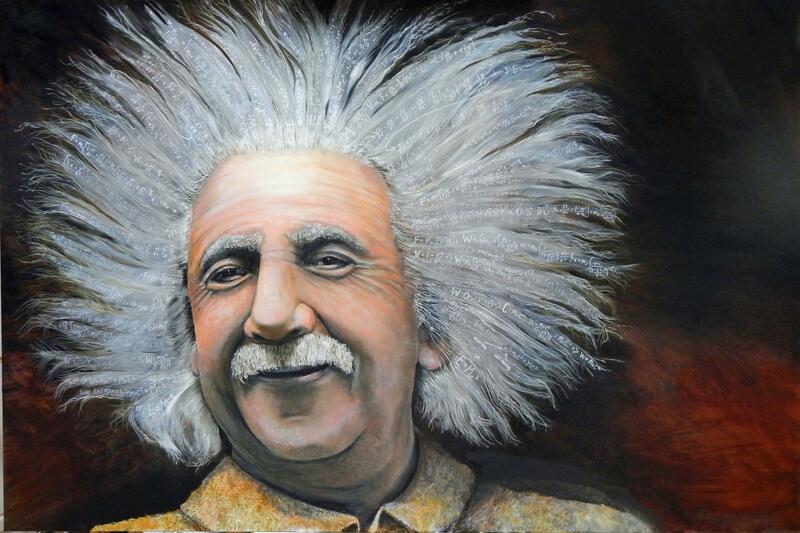 "EINSTEIN" was my 2014 Artprize entry. It is 4' x 6' oil on canvas. The mass-equivalent formula (E=MC2) is throughout his hair. It did very well in the standings and at one point was in the top ten out of over 1,500 entries. It sold for $5,000 to the Michigan State University Physics Dept. and hangs in their lobby.